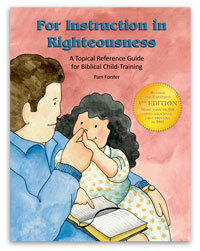 As Christian parents, we want to give our children well-rounded, biblically informed discipline. We want to walk side by side with them towards godly maturity in Christ. We want train them in a spirit of gentleness. We want to point them to Jesus and help them know the forgiveness and the power of the Gospel. 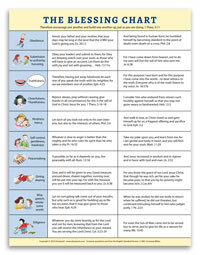 This mini-chart will help you provide this kind of godly nurture for your children. A relevant Bible verse for each "ingredient"
Application points and tips for each "ingredient"
This chart is primarily a reference for parents. 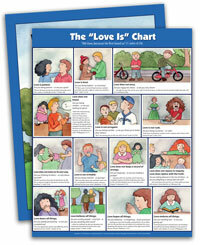 Doorposts' other charts get your children involved and help you teach them from God's Word. 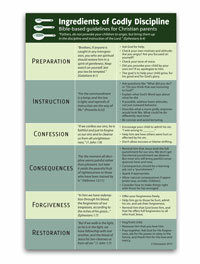 The 5.5" x 8.5" color, laminated chart is designed to fit in your Bible or another book where you can review it easily. The 4.25" x 5.5" fridge magnet includes the "ingredients" and Bible verse columns for easy reference (application points not included). 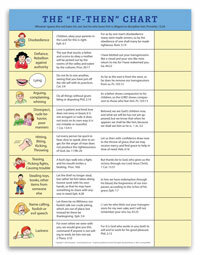 The PDF download gives you digital printable versions in both 5.5" x 8.5" and 8.5" x 11" sizes. Scripture quotations are from the ESV Bible translation.